Irish Celtic music beyond imagination and set aflame through the inspiration and fusion of past and present Ireland. 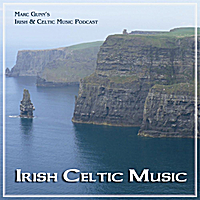 The Irish & Celtic Music Podcast is a free Celtic radio show of independent Irish & Celtic music. It won “Best Podsafe Music” two years in a row in the People’s Choice Podcast Awards. Every hour-long episode features an outstanding mix of indie Celtic music ranging from traditional tunes, drinking songs, to Celtic rock. The tunes on this album are by two of most-popular traditional Celtic groups on the podcast. They are also two of Marc Gunn's very favorite indie Celtic bands--FIMM and Poitin. FIMM is a brilliant all-female quartet Celtic group from Rome, Italy. The music hails from their debut EP "Rose in the Heather" as well as their incredible album "Rooibos & Disappunti". All tracks traditional and arranged by band, except as noted.